When it comes to saying goodbye to a loved one, it doesn’t matter who you are — it’s always hard. In a new interview with People magazine, Oprah Winfrey is opening up about coming to terms with the death of her mother, Vernita Lee, and how the pair spent their final moments together. Winfrey admits that even she, the former queen of daytime TV, grappled with what to say when the time came to let her mother go. Ultimately, Winfrey shared, she found it. It started with surprising her mother with a visit. Since Winfrey originally had plans to attend the launch of Michelle Obama’s memoir, Becoming, in Chicago, she adjusted her trip to make her way to her mother’s home in Milwaukee after the launch. Winfrey had to leave at one point for a speaking engagement in Boston, but she canceled all her meetings in California the following day in favor of returning to her mother’s bedside. After praying for a way to say what she needed to say, Winfrey felt compelled to play some music. When Mahalia Jackson’s “Precious Lord” popped up on her iPhone, she had a moment of divine inspiration. She FaceTimed her close friend, gospel singer Wintley Phipps, and had him sing “Precious Lord” to Lee live from his kitchen table. Winfrey then followed that up by playing one of her mother’s other favorite songs, “How I Got Over” by Joshua Nelson. “I could see that it opened her a little bit, because my mother’s been a very closed down person. I could see that the music gave me an opening to say what I needed to say,” Winfrey revealed. And with that, she found the words to say goodbye to her mom. She finished by encouraging her mother to go in peace, telling her, “What you want it to be, what I want it to be, is as peaceful as possible” — the antithesis of the struggles Lee had over the years due to diabetes. “It was really sacred and beautiful. 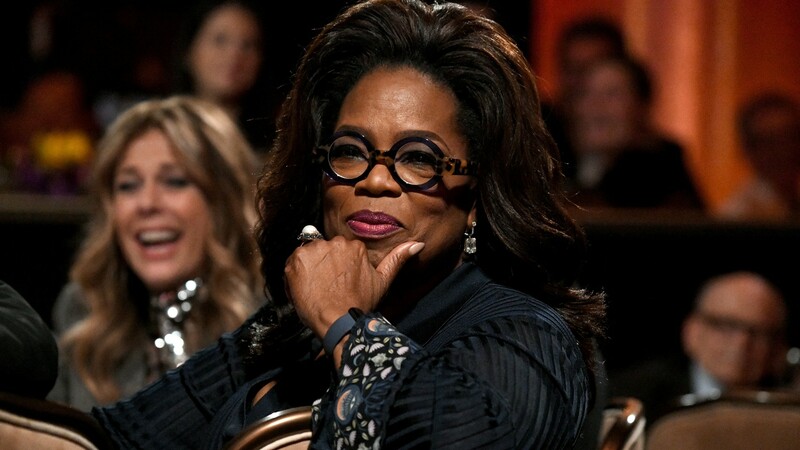 I would say to anybody — and if you live long enough, everybody goes through it — say the things that you need to say while the people are still alive, so that you are not one of those people living with regret about what you would’ve, should’ve, could’ve said,” Winfrey said.